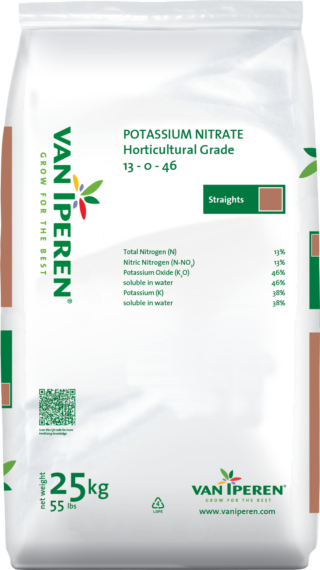 Van Iperen Potassium Nitrate Horticultural Grade is a highly pure Potassium fertilizer, free of Sulphate, which dissolve rapidely and completely. Our product is not sensitive to caking and is recommended during fruit or tuber development, especially during periods of drought. 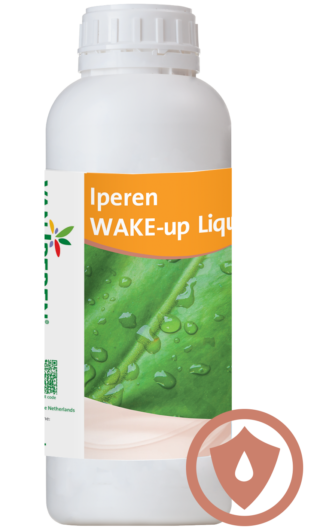 The high level of Potassium in our formula improves the cell pressure and regulates the functioning of stomata. 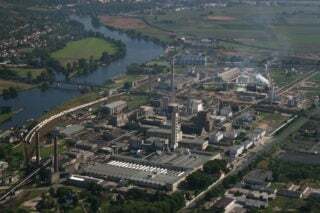 Furthemore, the presence of Nitrogen has a positive effect on the uptake of Potassium in the plant.